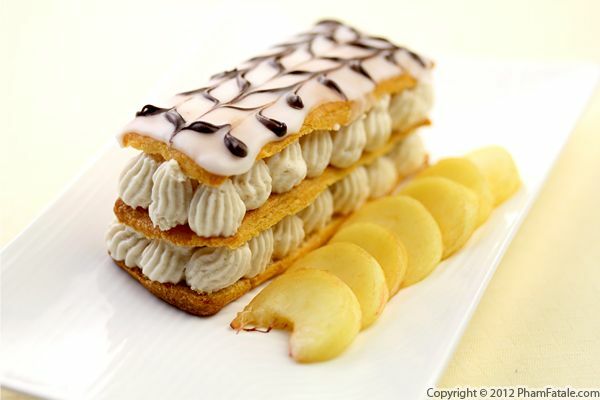 When I last posted a savory Napoleon recipe, I realized I had never posted a traditional napoleon dessert recipe. 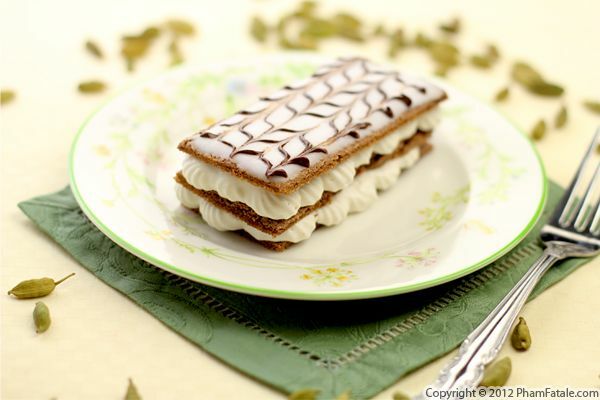 It's called "mille-feuille" (literally "thousand leaves") in French. Unfortunately, I burned the puff pastry, so I improvised with some Pillsbury crescent rolls! I was surprised at how well it turned out. I flavored the napoleon with peach preserves, peach flavored cream filling along and fresh peaches from our garden along with those we received from Full Circle. It's an elegant dessert that isn't as difficult to assemble as it seems. A little bit of piping skill for the filling and a toothpick to make the intricate topping decoration are enough to please anyone you know who has a sweet tooth!